In a new collection of humorous poetry about life and war as a U.S. citizen-soldier, journalist-turned-poet Randy Brown reveals behind-the-scenes stories from Boot Camp to Bagram, Afghanistan. And back home again. 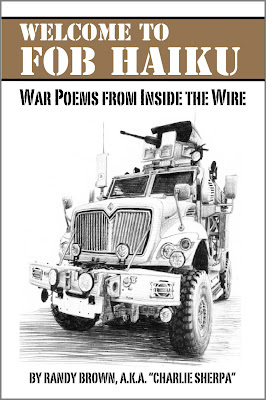 "Welcome to FOB Haiku: War Poems from Inside the Wire," (90 pages, Middle West Press LLC) is available in a $9.99 print edition through Amazon and elsewhere, as well as a $5.99 e-book via Amazon, Barnes & Noble, CreateSpace, iTunes, Smashwords, and other on-line vendors. 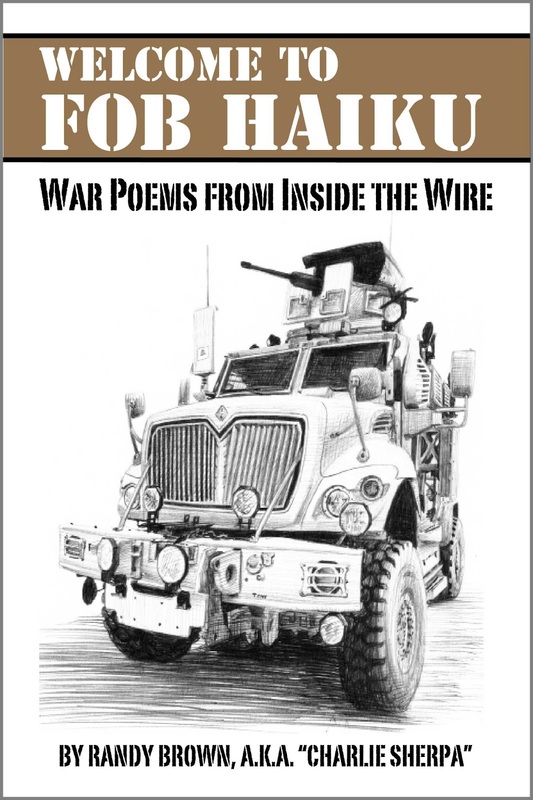 With hilarious and heart-felt haiku, snarky "war sonnets," and punchy free verse, Brown explores what it means to enlist as military and to embed as media, and reflects on lessons from both experiences. You can view samples at: www.fobhaiku.com. "Having done all the Army training for deployment to Afghanistan, I wanted to see what all the fuss was about," Brown says. "I wanted to see what was so gosh-darn important that Uncle Sam pulled my friends away from their families, neighbors, and employers for nine months or more. And I wanted to see how the acronym-driven American way of war played out—Forward Operating Bases, Combat Outposts, Mine-Resistant Ambush-Protected vehicles—both 'over there,' and here at home."